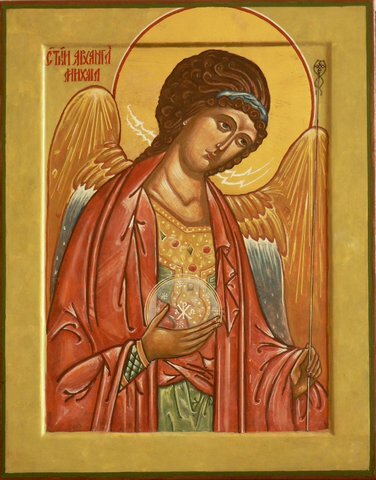 The Archangel Michael is clothed in the Byzantine style and, in this copy, has the inward, contemplative gaze of all Rublev’s figures. SKU: IK3. Category: Hand painted icons.